Yesterday a neighbor asked me for advice about espresso machines that I'm not really qualified to give. So I'm looking for help from members here who are familiar with appliance style espresso machines. Here's the situation:- Busy couple, both working, with school age kids. They need an easy to use machine with short warm up time. They are on a fairly tight budget. Two milk coffees most mornings, a few more on weekends, and occasional small dinner parties.They do not want to be bothered with temp surfing, cooling flushes, etc.etc.. They have window shopped on line and at appliance stores and liked the Sunbeam and Breville combo's and the Sunbeam EM6910 which they can get new for under $600 . I have convinced them that built-in grinders are not a good idea, and offered to lend them a grinder. They could probably stretch to the EM7000, but there are mixed reviews about it so I'm reluctant to suggest that one. So, Q1 - How does the 7000 compare to the 6910 ?? There is quite a lot of love for the 6910's here on CS, but I seem to recall someone saying that the current model is not as good as the previous one. Not sure why. Researching this has got me curious, and I just might buy a cheap S/H 6910 to play with, because I have never had a dual boiler/thermo-block. I'm handy enough to do repairs, and while Sunbeams spare parts policy seems to be very poor, there are a couple of online suppliers who seem to have some of the major components in stock, and units sold cheap for parts. Q3 - what should I be aware of here ??. Finally - How the brew temp is set/controlled on the 6910 ?? Thanks for any advice, deegee. There is a lot of questions there. Mostly answered by searching a few of the 6910 threads. In the manual, it describes a combination of buttons presses to move the brew temperature -10°, -5°, 0°, +5°, and +10°. I'm not sure of the set temp, but mine seems to be about 85° into a pre warmed cup (I'm working on more accurately measuring this). It is controlled by a 100k ohm NTC thermistor that talks to the control board to switch the group head thermoblock on and off. Basically the 7000 is a lot quieter, a little less powerful and has an "auto steam wand". Other than that the machines are similar. The 6910 is a lot closer to commercial machines (noisier, more powerful and a more traditional steaming wand*) so as a transition / learning machine it is 6910 "all the way". Oh, the newer (post 2010) 6910s are the same "shot power" as the 7000 - that is the main new / old difference between 6910s (and why mine are from 2007 and 2008, one bought secondhand). For "newbies under stress" the 7000 may be worth the extra expense - anyone can get reasonable microfoam with it after minimal practice. Brew temp is adjustable via the advanced settings (see the manual: both 6910 and 7000 have a batch of options like variable steam, preinfusion, shot temp, standby time etc). Note: being correctly sized thermoblocks (not an undersized boiler), the 6910 will do 72 "shots and froths" an hour without any noticeable variation in temp. Keeping the water tank filled at that rate is actually more of an issue. Both machines warm up in about 75 seconds, one preflush and they are ready to rock for hours. Leaving it permanently on is actually problematic on my 7000 - the extra insulation builds up more internal heat and it needs a $6 milk temp sensor once a year. Once I figured it out I just left the machine off until needed - no probs since late 2016.
more traditional steaming wand*: which personally I vastly prefer. Mind you, I an biased. I have been using commercial machines since 1970 and have little patience with gutless machines with undersized boilers or manual levers that require a bunch of arcane rituals to coax a decent cuppa out of it. Previous longer term machines include 2 group La Pavonis, manual lever Electra (so far still the best coffee out of my own machines - although the new one is knocking at that door already), 110V and 220V LM GS3s. Actually I prefer my older 6910s to almost any other "cheapie machine" at home as an "easy to live with" toy. My new beast is over $5,000 and is the only upgrade I could find worth actually changing up for. I can only comment on the Em7000 , My first machine was a Gaggia classic which is a great machine but is a bit of faffing if you want to make multiple milk based drinks . I bought a Em7000 3 years ago along with a Breville smart grinder pro which as Tampit says above heats up in minutes and is pretty quiet , you can also steam milk at the same time as pulling shots and once it is setup it is very easy to get consistent shots. I decide to upgrade a few months ago and bought a used Isomac Zaffaro which is a single boiler machine like the gaggia , but it took 20-30 mins to heat up and then you have to wait another few mins after making the coffee to get the steam up for the milk, so after a few weeks I gave up and went back to the Em7000. I now have the Sunbeam Torino which is a sheep in wolfs clothing , it is basically a Em7000 made to look like a Italian machine , but it heats up fast and makes nice coffee . I am on the Sunshine Coast and I am looking to sell my Em7000 and Breville smart grinder , so if your neighbors would be interested in used machine they can have them both for $450 and have a day out on the Sunshine Coast. I would have to concur with above comments. The EM7000/BCG820 combo would be excellent. The 7000 is probably a better fit for non ‘coffee geeks’ although a 6910 is fine as well if you don’t mind the noise. I gave my brother a 6910 and 0480 a couple of years ago. He and his partner don’t pay the same amount of attention to detail as I do, but they still make good coffee with it and are very happy. The only comment I’d add is that I prefer a minimum heat up time of 15min due to the portafilter being stainless steel (on all 7000s and newer 6910s). If this isn’t possible you need to flush water through it a couple of times after the machine’s heat up to get it up to temp. Also note that preinfusion can only be adjusted on the 7000. The 7000 also has a slightly better auto clean process, but is otherwise much the same. It’s also a bit prettier than the utilitarian 6910 IMO. Many thanks to everyone who replied. All questions answered and lots of good extra info as well. My own experience has all been with single boilers, levers, and HX machines, so I was in need of help on this one. As to not searching out the info, Mea Culpa. However, in my defence, I did do a search, which brought up 500 threads, many of which ran to multiple pages. Most of them were totally irrelevant, so I chose the easy option and posted the questions here. If that has inconvenienced anyone, I apologise, and plead for leniency. @ buderim11 - I will pass on your offer, and get back to you if they are interested. I've repaired an old 6910 using advice on these pages, and limped along for years with it mostly working. It's true there are hundreds of posts to wade through to gather the info you might want. I've now bought a new 7100 and am very happy with it, and the 6910 is free to a good home (I'm in Adelaide). Have also sent you a link on my own observations from these machines. Last edited by Honest_Gaza; 10th March 2019 at 01:59 PM. Thanks for that - My friends have decided to buy a new unit, and will probably take out an extended warranty to cover breakdowns. I would take the old 6910 to tinker with if I was closer, but I'm in Brisbane and it would not be worth the time and cost to get it up here. the 6910 is free to a good home (I'm in Adelaide). If they enjoy the pure flavour of coffee they should French press/plunge coffee using a medium roast coffee blend. Heat some milk and have a café au lait each morning. If they prefer espresso style coffee they get a stovetop espresso machine and manual milk frother (whisk or plunger). Makes good coffee faster and a lot less to clean up. I have no idea which machines you know, however the 6910 / 7000 keeps itself pretty clean - after steaming it "leaks" a little low pressure water to keep the wand internals clean, after a shot it also "leaks" a little low pressure water to try to keep the showerscreens clean (a little less successful if the user's technique is poor enough). One quick (maybe 2 seconds) post flush through the group and a quick wipe of the wand is all that is needed per shot until the next "large" batch of coffee. About ten seconds on a bad day. Add 75 seconds to warm up while I grind the coffee, 15 seconds for a preflush to warm the portafilter and then 35 seconds to preinfuse and pull the shot. Always less than 2 1/2 minutes all up. Even my modded "chem lab stirrer / plunger" setup is very inferior in the cuppa to a real espresso machine, and those milk frothing toys are only barely acceptable when camping. It actually takes a lot longer to rinse out a plunger properly. Oh, and my "stovetop espresso maker" is an automatic Rommelsbacher which also takes a lot longer to make a worse cup of coffee and then takes a while to cool down before it can be cleaned. Result: I can start by turning on the power on my 6910 / 7000 and still be finished (including cleaning) before the others can get up to temp, make their cuppa and be cleaned. And I get a better cuppa as a bonus. deegee and Xanthine like this. True - I had forgotten the later 6910 and 7000 / 7100 portafilters (p/fs) are stainless and take longer to fully warm up. Worse, the standard 7000 / 7100 p/fs are also a lot thicker (i.e. more thermal mass) and take even longer to come up to temp. My own solution is easy - I have 4 "old style" 6910 brass p/fs which I have converted to naked. They are fully warm after being hit with one quick preflush. If I had to use the 7000 / 7100 p/f, I would do a quick preflush once the machine is warm and then wait about another 5 minutes and do a second preflush if the p/f is not warm enough. The 2010+ 6910 p/f would only take an extra minute to warm up compared to the brass. Considering the coffee never contacts a naked p/f anyway, the current move away from brass to stainless p/fs "on safety grounds" is yet another triumph of bureaucracy over common sense (idiocracy?). My advice to 6910 owners is easy - scrounge the coffee repair places and get brass p/fs and convert them to nakeds. Better in the cuppa and faster warm up works for me. PS: The 6910 also has adjustable preinfusion - at least my pre 2010 ones have. The 6910 also has adjustable preinfusion - at least my pre 2010 ones have. No 6910 was ever given the option of adjustable preinfusion. 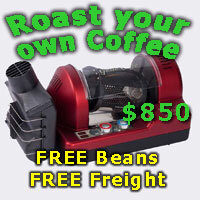 You can only control coffee thermoblock temp, steam thermoblock temp and steam pump rate. Yeah that’s what I thought. I’m still gonna go check the manual though just in case. I had a laugh. Apologies if I am wrong, but I recall my 2008 paper manual had a few changes from the on-line version. I think you start with the machine off. Hold "manual and 1 cup" and briefly press power to turn it on. Whichever light comes on is your current setting, and if you select 1 cup, 2 cup or manual within a few seconds then it changes it. I do know my 2010 one didn't do it - I remember being surprised at the time. Just tried it on my machine and it doesn’t work unfortunately.